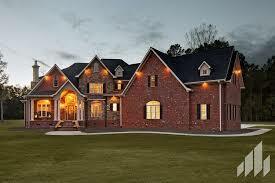 There’s an art to building dream homes. For more than 85 years we’ve helped turn ideas and blueprints into welcoming classics—homes that are appealing yet functional expressions of individuality crafted to add value for generations. Founded in 1928, General Shale Brick is one of the leading exterior building materials manufacturers in the United States. We offer more than 250 types of brick in a full range of colors and textures as well as special shapes and details, a variety of landscaping materials, concrete masonry units and brick sculptures. 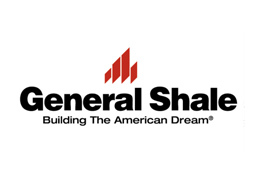 At General Shale we take pride in delivering high-quality products and excellent customer service. Our production facilities manufacture more than one billion bricks a year, and are located in key distribution areas within easy access to any building project in North America. In 2006 Robinson Brick Company, based in Denver, Colorado joined General Shale. Sales are supported by a network of distributors in the U.S. and Canada, as well as dedicated showrooms. Arriscraft International, a leading producer of building stone, was acquired by General Shale in 2007 adding another premier product line to our masonry portfolio. Headquartered in Johnson City, Tennessee, General Shale employs 2000 people, including Johnny Hagerman, one of the country’s foremost brick sculptors. The corporate building is also home to a museum that showcases a unique collection of historically significant bricks including a 10,000-year-old specimen from the ancient city of Jericho. In July 1999, General Shale Products joined the world’s leading brick manufacturer, the Wienerberger Group of Vienna, Austria. Our mission is to continue to be the leader of the U.S. brick industry through customer satisfaction, product quality, and innovation. We will focus on increasing the use of our products in all phases of building construction and meeting our customers’ needs. We will act with honesty and integrity, effectively using all of our Company’s resources, the most important being our people.